I’m Katherine Frelon, AKA ‘Scatty Chef’ for those that knew me in my young days, but let’s just say I’ve matured into the Eclectic Chef era!! 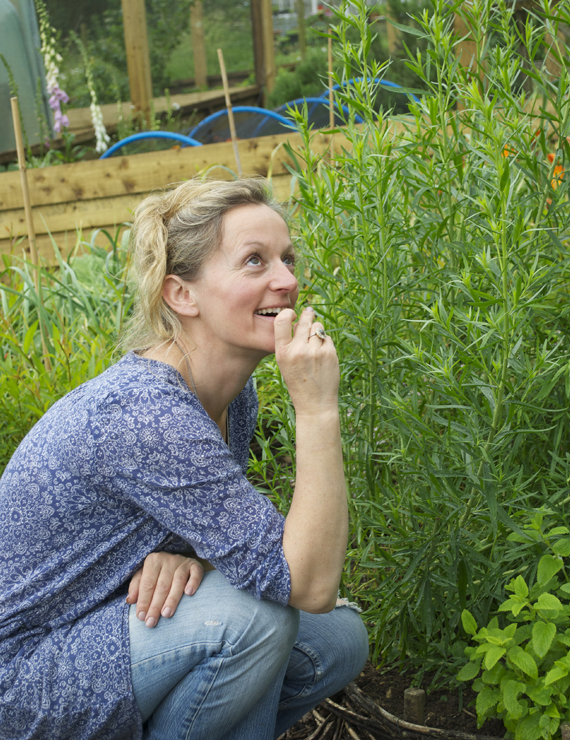 I am a wandering freelance Chef throughout the UK, France & US. 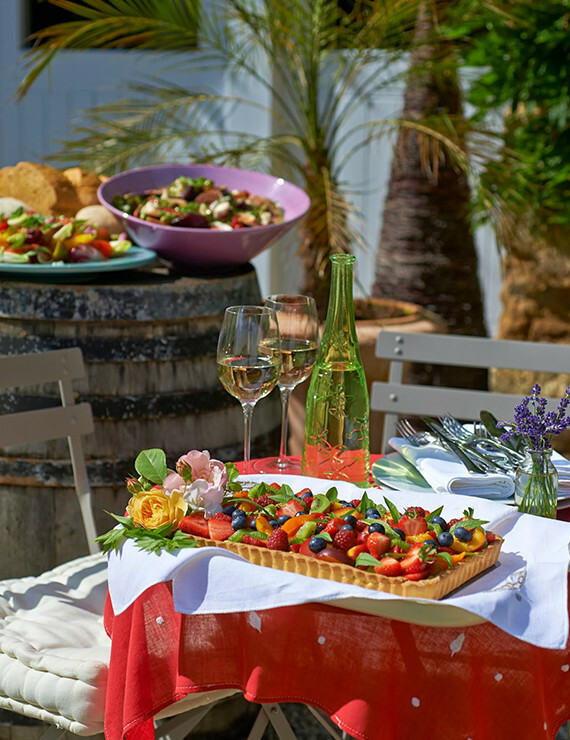 I founded the Gourmet Culinary and Wine retreat of ‘La ferme de la Lochere’, in the heart of Burgundy were my guests are inspired to create fresh, fragrant, seasonal recipes gathering ingredients from local producers and fabulous markets. My passion is creating delicious, colourful, food sourced from the freshest ingredients and sharing it with others over a glass or two of perfectly paired wine. Leaving England when I was in my very early 20′s, I set out on an adventure. I renovated various old buildings, learning to roof, plumb and tile along the way; forage for mushrooms; skin some of the most unpleasant looking fish and mammals I’d ever seen; pluck the wildlife; experiment with cheesemaking; make ‘boudin noir’ with no skins; rustle up a cauldron of a few hundred snails (all collected by hand, although I’m pleased to say not mine!) and finally made my way to Burgundy, where I settled and worked as a successful Chef for an American/French 5* Hotel Barging Company. Having searched high and low I finally found ‘La Ferme de la Lochere‘, the perfect setting to share my love of all things French – the markets, the food, the wine and the wonderful local artisans. 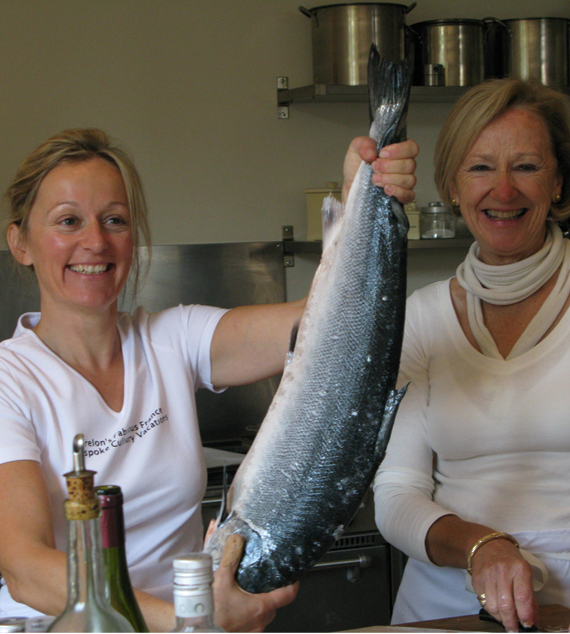 ‘La Ferme de la Lochere‘, became the epicentre of gourmet culinary wine adventures! 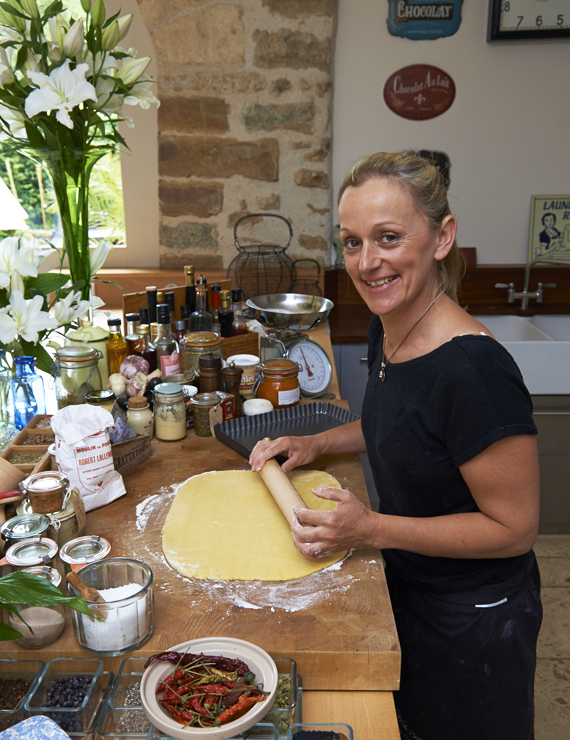 As well as my freelance catering commitments I have a passion for writing, being included in the BBC Good Food magazine and providing special occasion recipes in Worldwide publications in print and on line. My inspiration comes from all over the world and I love creating recipes that are easy to follow and reproduce at home. A pioneer for all things locally grown and sourced, I created a range of ready prepared meals for my local farm shop in the heart of the Cotswolds, ran a pop up Cafe in the month of June during the Onform Sculpture exhibition, held every 2 years and I regularly collaborate with London’s infamous Borough Market. Did you know it’s over a 1000 years old and used to be the gateway into the City of London right by London Bridge! 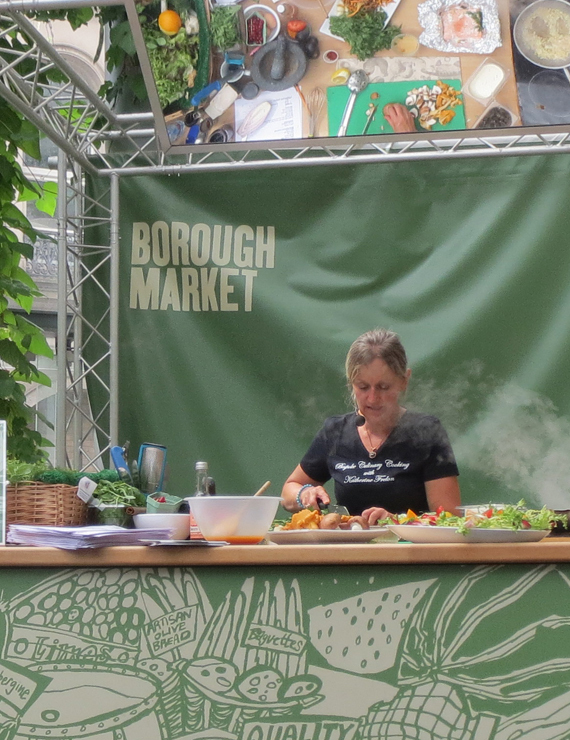 I am delighted to been a regular Demo Chef in the Borough Kitchen that gives live performances every Thursday and Friday. Just keep in touch to find out when! My greatest passion is cooking with spices and I am always experimenting with different combinations of ingredients, styles, and tastes. I am slightly obsessed I guess!!! I often refer to myself as the “head chef and bottle washer” but nothing would be possible if it were not for the dedicated team of friends and professionals that make my work such a joy! Watch out for upcoming appearances in London’s Borough Market here or get in touch to find out more about my inspirational approach to food and wine! I’d like to share my passion so read on and stay in touch ………………….